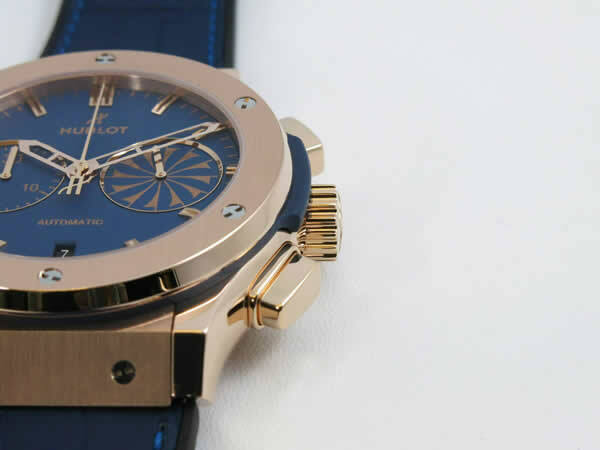 Hublot’s Spirit of Big Bang watches came into being from a challenge to Jean-Claude Biver to create a watch inspired by Richard Mille, which spawned the Masterpiece line and in turn gave birth to these incredible Tonneau-shaped watches. 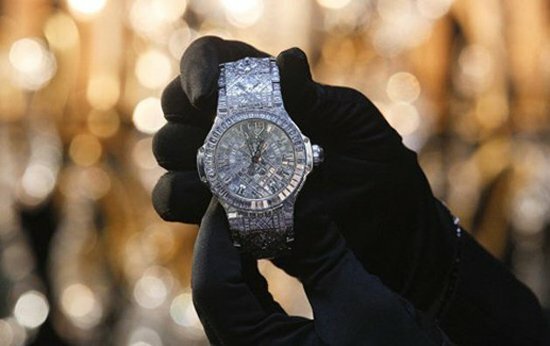 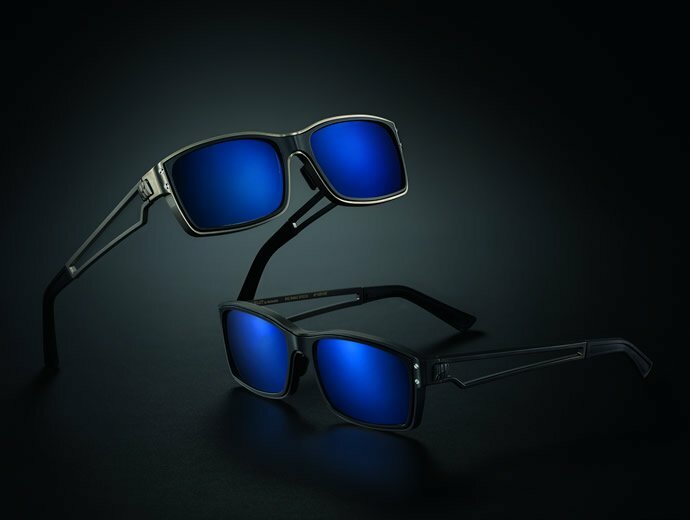 It’s limited models and production numbers meant it nerve managed to become as popular as the watchmaker’s Big Bang and Classic Fusion lines of watches. 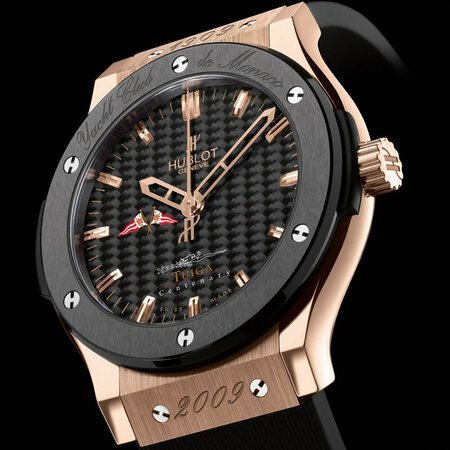 Hublot has released another limited edition model from the Spirit of Big Bang collection, which captures the essence of the summer season. 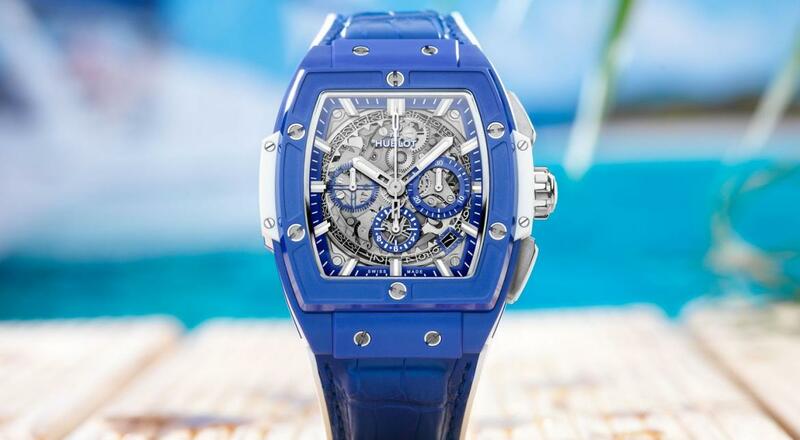 Inspired by the azure of the Mediterranean Sea, the Spirit of Big Bang Blue watch as the name suggests comes finished in deep blue. 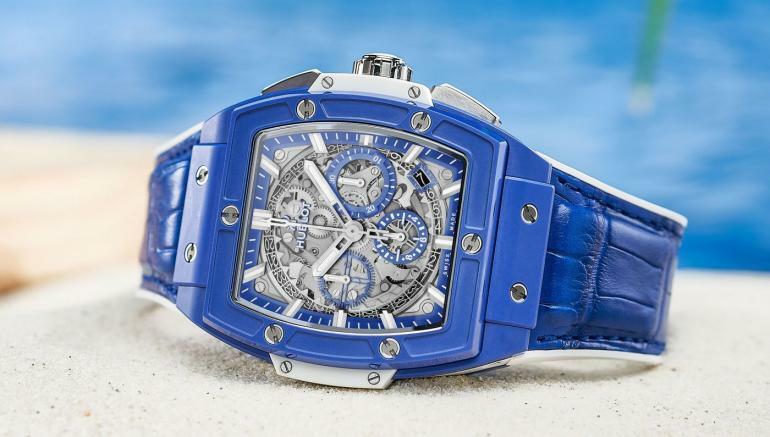 The limited edition watch features blue microblasted and polished ceramic combined with a blue alligator strap stitched onto white rubber. 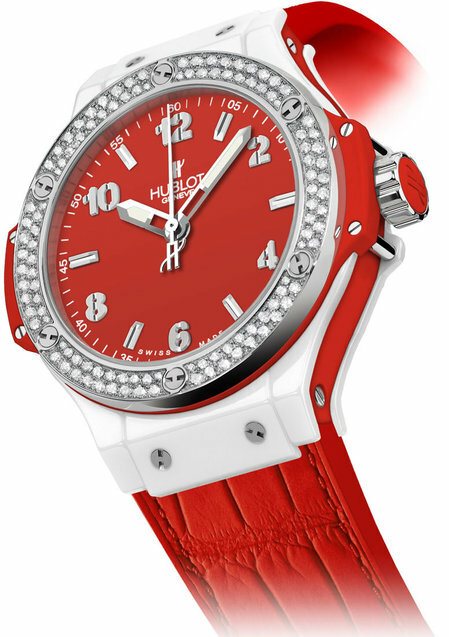 It combines all the signature elements of the Spirit of Big Bang range, including the Tonneau-shaped case. 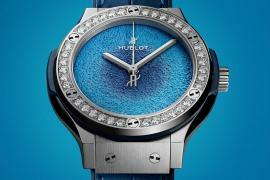 Six H-shaped screws create a “sandwich” case construction and the materials convey the concept of Art of Fusion whereby unexpected materials are combined. 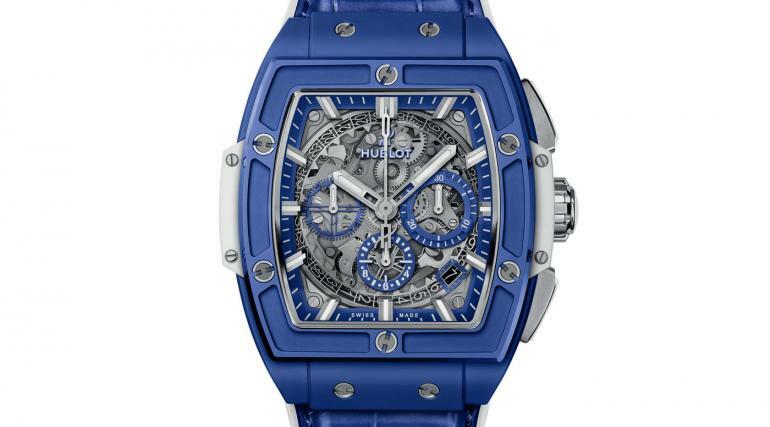 The movement powering the Hublot Spirit of Big Bang Blue is the HUB4700 automatic skeleton chronograph. 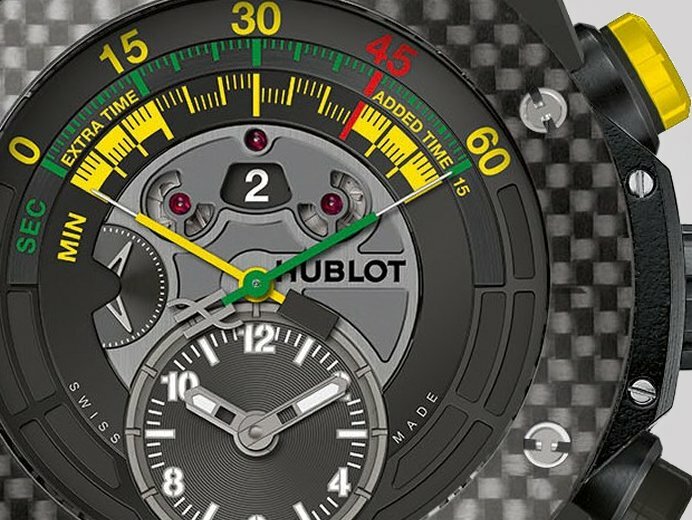 It features a 50-hour power reserve and the oscillating mass is visible through the unique open-worked caseback. 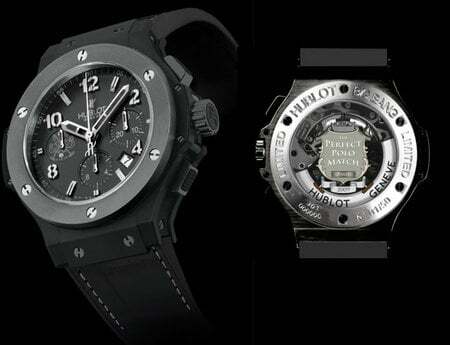 It will be produced in a limited run of 100 numbered pieces and is available exclusively from Hublot boutiques.